Jim Black and Robb have worked their day jobs together for many years. By coincidence, Bart, Robb and Jim grew up about blocks from each other in the shadow of Moffet Field (home of the WHitecliff 8 prefix). The bands rhythm section is composed of Bob Lewis on bass and Donn Spindt or drums, both on long term loan from the Rave-Ups (where Bob plays guitar). Bob and Donn have been playing forever. 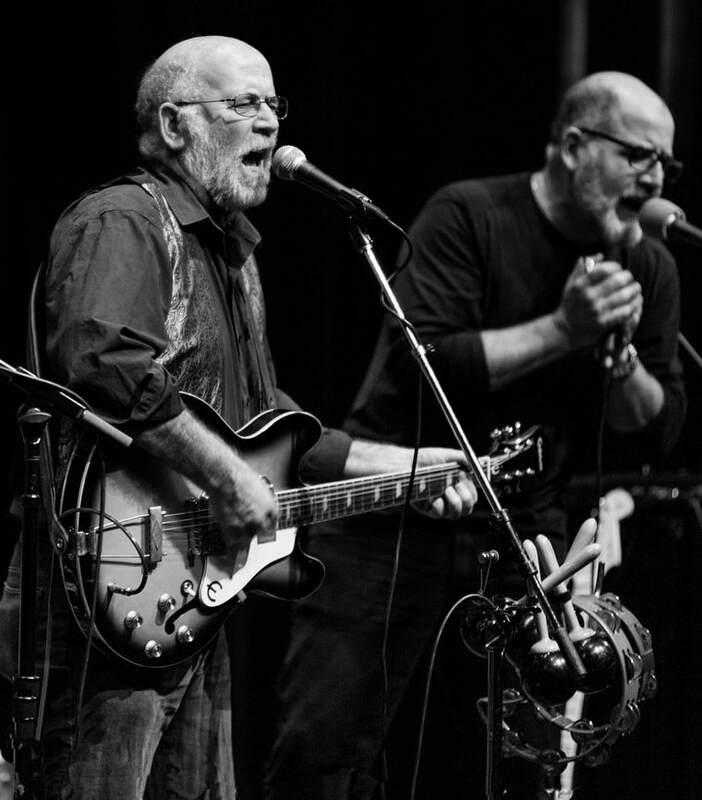 In addition to the Rave-Ups, Bob has in numerous bands over the years, opening for many bands including Norton Buffalo, New Riders, and Phil Everly of The Everly Brothers. ​Early on Donn joined the internationally known band The Rubinoos, drumming and singing harmonies. He also has worked with Jonathan Richman, Vox Pop, Leila and the Snakes, The Debra Knox Band, Brian Hyland (Yellow Polka Dot Bikini), The Beau Brummels, Rodney Dangerfield, Tony Clifton and The Aqua Velvets.